I get as excited about meeting fellow GeekMoms in person as a kid going to Disneyworld! GeekMoms Mandy, Ruth and I were at Dragon*Con together this past summer. Photo: Dave Vollmer. When the GeekMoms get to meet in person, it’s a pretty big deal. We call them “meetups” in our group. I’m not sure if there’s some official name for it: when you get to meet in person someone with whom you had this non-in-person relationship for so long. For many of us, after months and months of our online relationships, discussing future GeekMom post ideas, debating current events in parenting, tech news and our assorted fandoms, and sharing news of our lives (such as new babies and upcoming marriages), getting to meet in person is truly wonderful. GeekMom Natania invited our family over for a delicious Mediterranean dinner! The kids enjoyed playing Zombie Dice with her husband Michael. Photo: Dave Vollmer. 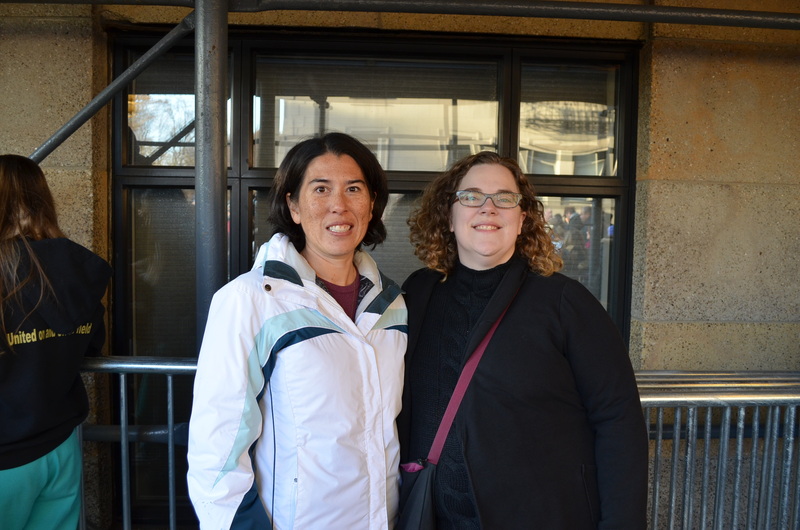 We GeekMoms keep informal tabs on who has met whom in person. Most of the time we’re meeting at assorted cons (ComicCon, Maker Faire and SXSW seem to be biggies). 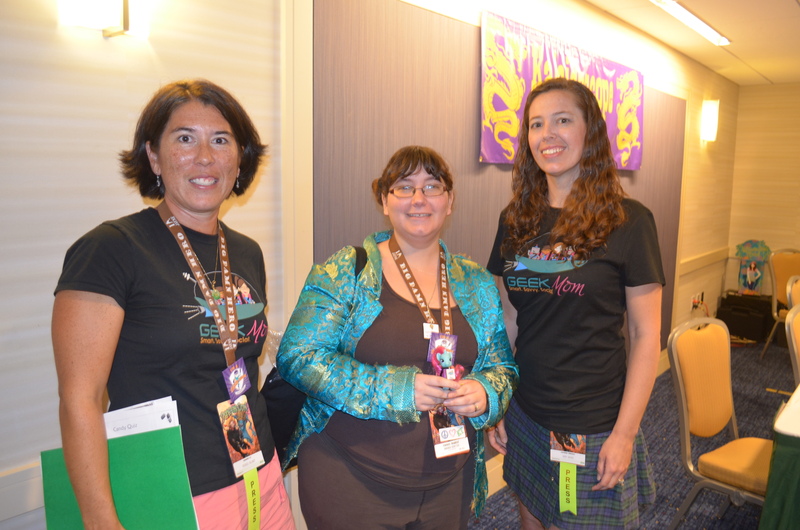 Sometimes ladies can get together at press junkets, or we can take vacations that allow us to cross paths, such as what GeekMom Jenny did in summer 2011, fitting in meetups with 12 GeekMom and GeekDad writers. We aren’t tracking as a competition necessarily, but more for the pure statistical fun of it. I actually think it would make a cool infographic: like a circuit chart with most of the editors in the center, with the other contributing writers radiating out like spokes … but those spokes would have connecting lines also. 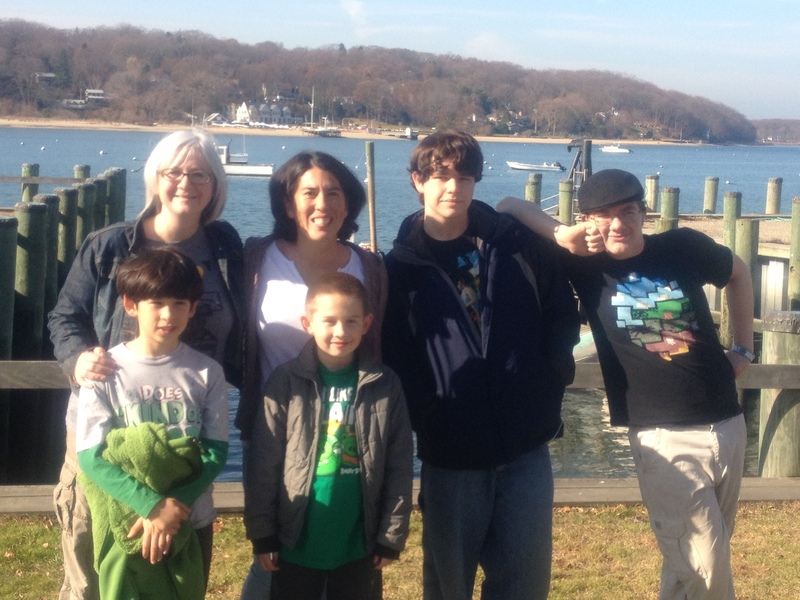 As we wrap up 2012, I can proudly say that I have met five of the GeekMoms this year. My chances of meetups are pretty few and far between. For starters, I live in a relatively out-of-the-way part of the country. How do I measure “out of the way?” Let’s use a simple geeky metric: My nearest Apple Store is FOUR HOURS AWAY in New Orleans or Birmingham. Since I’m out of the way, I certainly don’t expect anyone to make their way to my house, unless they’re traveling from Texas to southern Florida or something. GeekMom Amy met our family at the Macy’s Thanksgiving Day Parade, helping bide the time while we waited…and waited…and waited…for the parade to begin. Photo: Dave Vollmer. For me personally, I get as excited as a kid going to Disney World! I think about how I’m going to dress, what kind of things we’re going to talk about — which you can’t plan, I don’t know why I bother trying to predict it — and whether our kids will get along, for those GeekMom meetups that include our kids. So far, I have had a wonderful time with the things I’ve gotten to do with the GeekMoms I’ve spent time with in person. All of the experiences have been different, and all of them lots of fun. Natania and her husband, GeekDad Michael Harrison, invited our entire family over for dinner this past spring and cooked us a fantastic meal of gyros and hummus. The kids enjoyed learning Zombie Dice, and we talked about as much as we could possibly fit into our three-four hour visit. Natania was in her third trimester of her pregnancy with her daughter and we talked about everything from babies, to being a working mom, to the work she does as GeekMom’s Senior Editor. I also learned a lot from both Michael and her about some of the GeekMom and GeekDad blogs’ histories. Meeting Ruth and Mandy was more chaotic. We had a great time together at the Dragon*Con panel. It was certainly worth it to see Ruth stand up in the middle of the panel to act out the scene from Clerks II , in which Randal acts out his impression of the Lord of the Rings trilogy. Like many of the GeekMoms’ meetups at cons, Dragon*Con was very crowded, so it was a miracle that I even crossed paths with Ruth and her husband again at all. My family had the chance to walk with Mandy and her daughter in the parade, and that was a great time to chat with Mandy. I remember learning SO MUCH about Firefly from her that weekend. GeekMom Andrea and her family made the trip up to meet our family on the North Shore of Long Island. We enjoyed a beautiful morning at a waterfront park. Our kids enjoyed hanging out together, our husbands found a lot of talk about with each other, and Andrea and I could have talked all day! Photo: Dave Vollmer. The most recent two ladies I had the chance to meet were during my recent trip to New York for Thanksgiving. Amy took the subway down to Central Park West and hung out with us while our family was waiting to see the Macy’s Thanksgiving Day Parade. She stood with us in front of the “Ghostbusters Building” while we waited, and we chatted about what life is like living in New York City, her daughter’s experience as Zita the Spacegirl at NY Comic Con, and our both having seven-year-olds who are blasting through the Harry Potter series a bit faster than many people think they should. Andrea’s family drove up from their part of Long Island to meet my family in a quaint town on the North Shore. We ate breakfast at a fun diner (where I think our four sons collectively consumed about 10 pounds of bacon! ), then enjoyed hanging out at a waterfront park while the kids ran around exploring the park and the piers. My sons really enjoyed talking to Andrea’s sons, who played the same video games and offered numerous tips and stories for Minecraft, Portal, Angry Birds and Plants vs. Zombies … among my boys’ favorite video games right now. 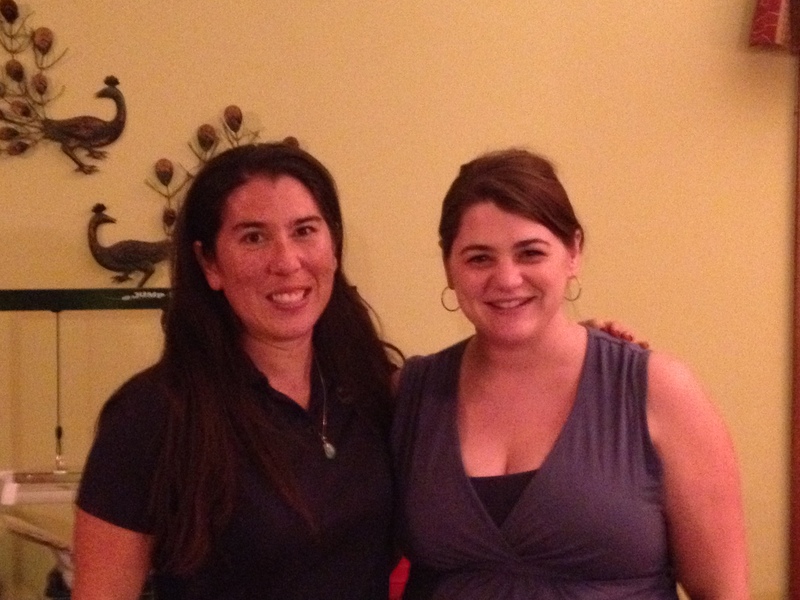 Andrea and I talked about the military family life and parenting boys. My husband and kids have been along for the ride on all of these meetups. It’s been most gracious of them, and as you can see from the photo captions, my husband has been the photographer for each of these pictures. I think it takes a special kind of guy to come along on all these meetups. Dave has enjoyed getting to know this world I’ve been with for less than two years. The kids have been great also, they’ve enjoyed meeting other geeky kids who enjoy the same things as they do: Mario Brothers, Star Wars , LEGOs, Minecraft and maybe even My Little Pony: Friendship is Magic ! So who’s the target of GeekMom Patricia’s next meetup? I think it’ll be a couple of west-of-The-Rockies GeekMoms in 2013, but I’m not offering any more detail than that! My family has a military move coming up in mid-2013, but until my husband has orders in hand, we aren’t going to publicize where we’re going.